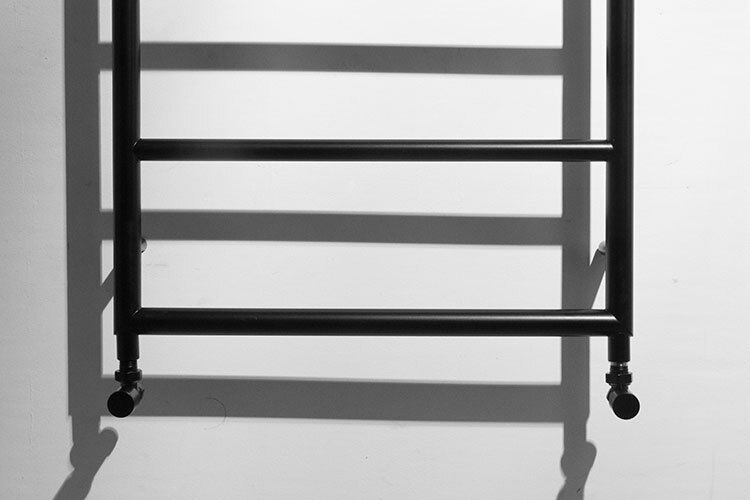 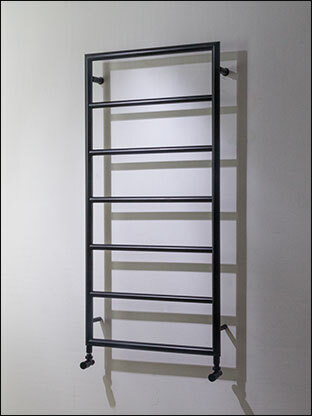 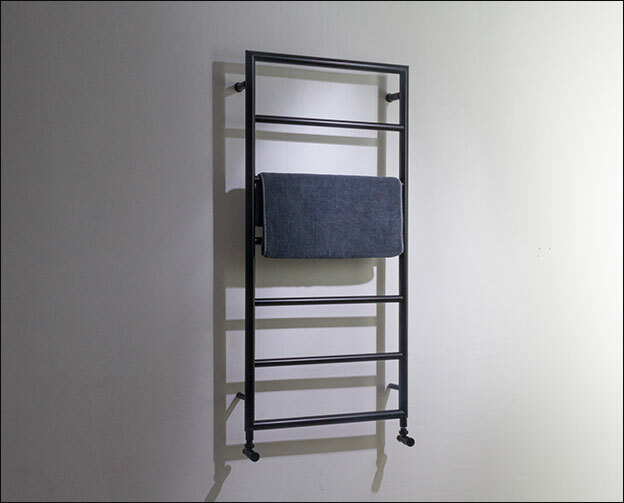 The Black Loft Towel Radiator is a simple, stylish heated towel rail in matt black finish. 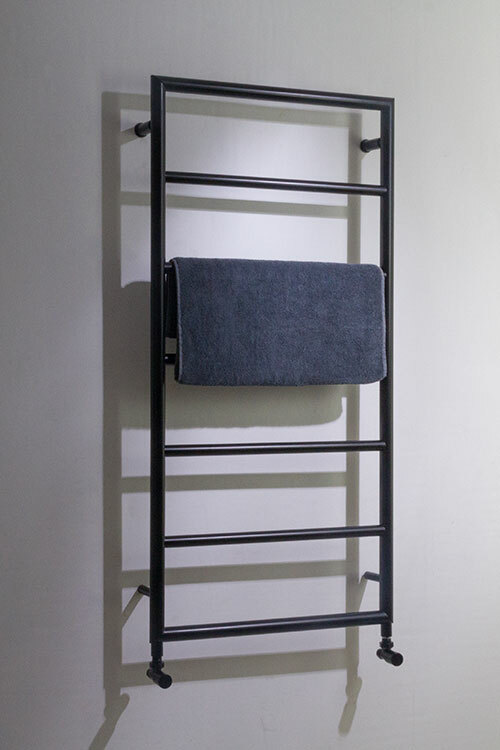 Ideal for modern bathroom designs, this black towel rail is available in 3 size options, with bespoke designs available on request. 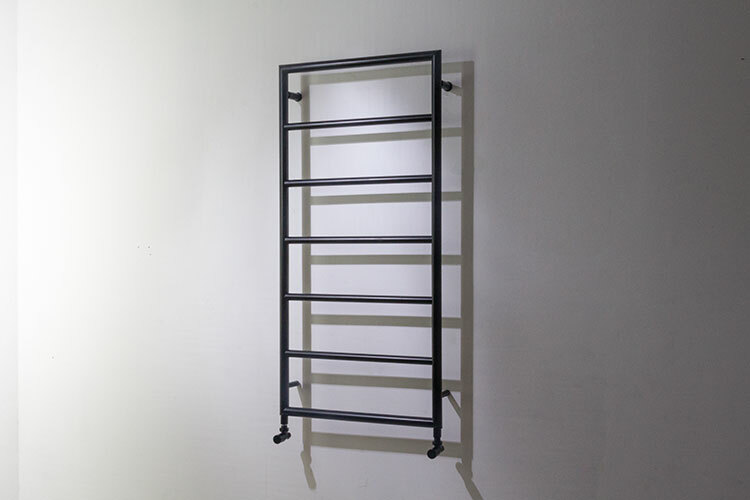 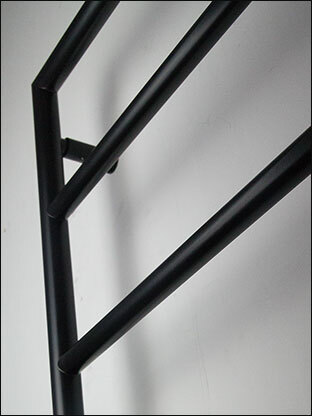 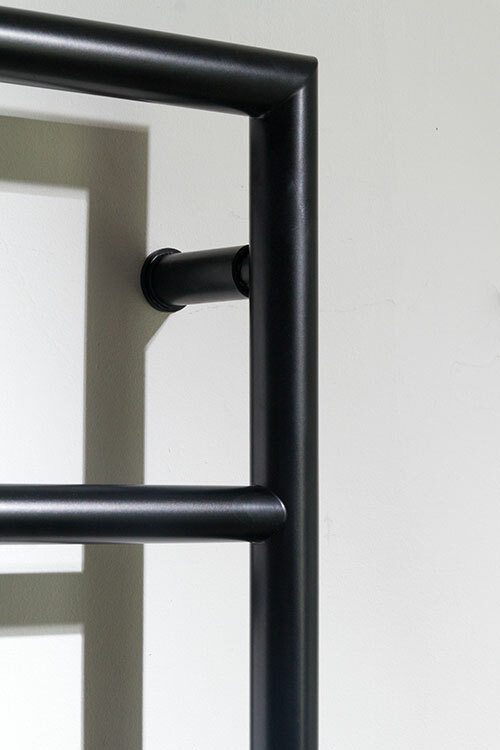 • Matt black towel rail. 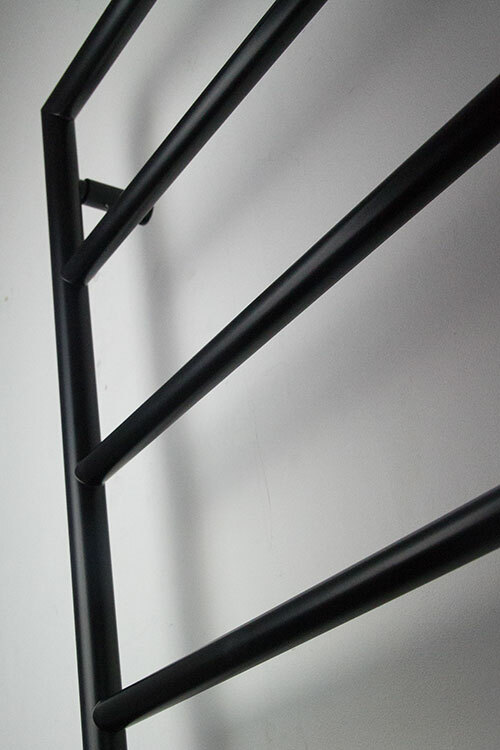 • High quality stainless steel body. 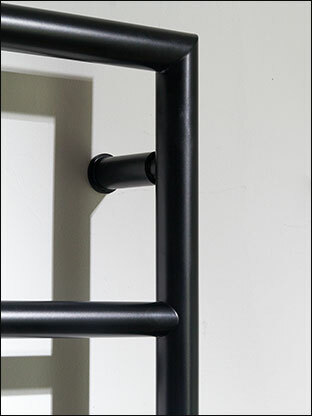 • Thermostatic element available on request. 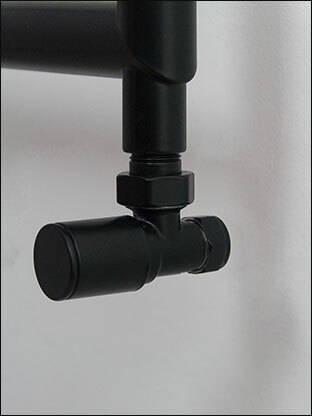 • Shown with matching valves.